We’re proud to announce that we have kept our number one place in the Wirehive 100 league table for a third consecutive year. Last night we joined some of the finest digital and creative agencies in the South at the O2 Guildhall in Southampton to honour and celebrate the fantastic work and achievements of our peers. Having previously topped the Wirehive 100 league table in 2015 and 2016, we are ecstatic to be named number one for the third time. The accolade is a testament to the hard work and high standard of digital delivery that our team continues to produce. 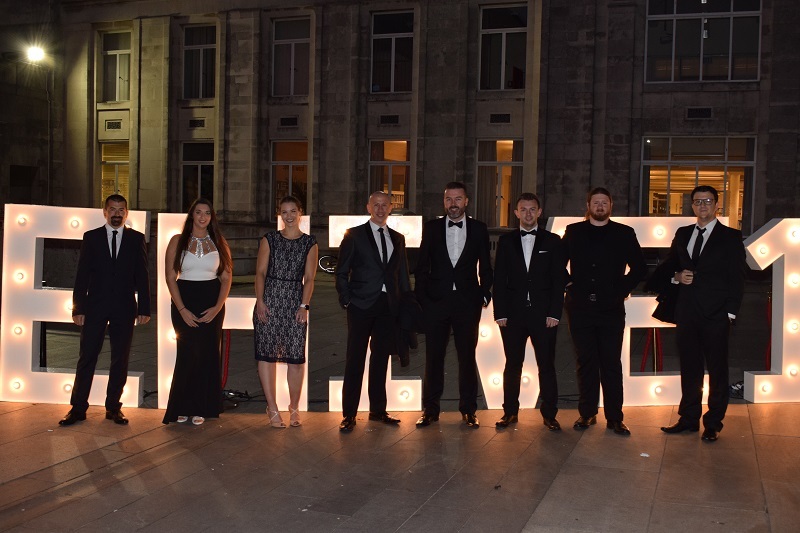 Now in its sixth year, The Wirehive 100 Awards is a celebration of the high standard of work delivered by outstanding agencies throughout the South of the UK. The Awards showcase the creative and technical talent housed within these agencies, as well as recognising hard work and achievements. The judging panel is chaired by mentor and Global Ambassador for BIMA Mary Keane-Dawson. She was joined by independent digital professionals from respected companies including Ted Baker, BBC and MOO. The awards continues to grow, adding more categories and eligible regions year on year, so we are thrilled to retain our number one position against stiff competition. Find out more about Wirehive 100 on their website.